Fascinating news!! On October 3rd the Painted Lady Migration was detected by the National Weather Service! There were so many Painted Ladies on the move that the Denver weather radar has detected their movements. They appeared on the radar as various colors of yellows, purples, greens, blues and reds. The swarm of butterflies was so large that it was over a 70 mile radius! What an amazing thing to see! 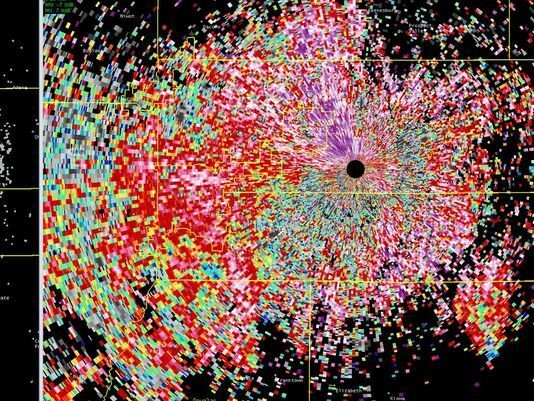 In 2014 the weather radar picked up a smaller Painted Lady swarm over Missouri. It is common for bird migrations to show up on the NWS radar but depictions of insect migrations are a fairly rare. An employee from the Butterfly Pavilion in Denver says that the migration must be strong due to the warm summer and peak breeding conditions for the painted lady. When the weather begins to cool, the butterflies start to move toward Arizona, New Mexico and Mexico to overwinter. Let’s hope the monarch populations are that strong!